Well maintained 2 story home on cul-de-sac in quiet subdivision. Large, covered front porch leads to 2-story entry hall with beautiful hardwood floors. Study (with French door entry) to the left and elegant formal dining to the right of the entry hall. Open plan living and kitchen area. 2-story living room has wall of windows overlooking the back yard with hardwood floors and gas fireplace. Central kitchen has Avanza counters, walk-in pantry and black appliances with gas cook top and wall oven. There is an extra room off the breakfast area that could be used as a sun room or craft room. The master suite is downstairs and boasts a huge closet. Upstairs is a second study area with built-in shelving, a huge game room that runs the width of the house with dormer windows at each end; 3 bedrooms and 2 full bathrooms. Private backyard with loads of shady trees. Great location with convenient access to Willowbrook, 249 and the hospitals. Please, send me more information on this property: MLS# 97847994 – $307,500 – 7911 Highland Green Court, Houston, TX 77070. 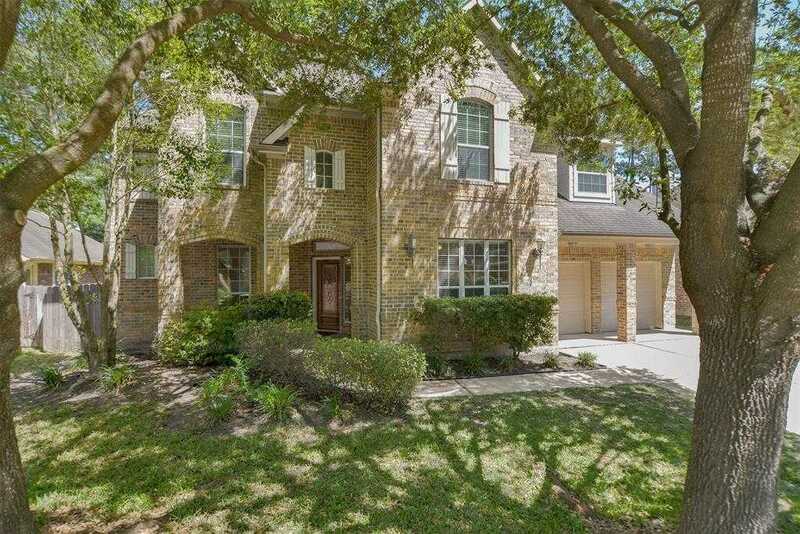 I would like to schedule a showing appointment for this property: MLS# 97847994 – $307,500 – 7911 Highland Green Court, Houston, TX 77070.